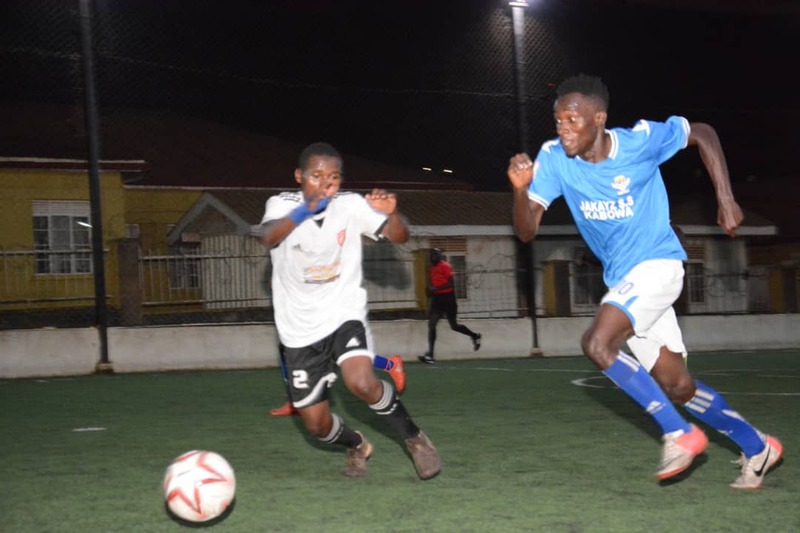 MENGO – The Futsal Super League will continue on Thursday evening with 7 matches played at the International Futsal Courts in Mengo. Leaders Yeak Kabowa will have a chance to tighten their grip on top spot when they take on 10th placed Aidenal. Yeak have been in scintillating form of late, winning all their last three games and in process pull four points clear of second placed crown. The game between these two sides will be a repeat of the Uganda Cup Round of 16 tie, last week, which ended in a 5-1 victory for Yeak. In their last League encounters, Yeak were 8-3 winners over Typhoon while Aidanal won a 7 goal thriller (4-3) against Crown. In the biggest clash of the day, second placed Crown take on Parakeets who are currently 3rd. Both side sat atop the standings at some point this season but inconsistent results have seen them loose ground on leaders Yeak. Crown come into the game on the back of a shocking 4-3 loss against Aidenal and they will be eager to get back to winning ways. For Parakeets, they lost 3-0 to Mengo City in their last league game, a result that meant they had now lost two games in a row. With Yeak facing a relatively easier fixture on the day, none of Crown and Parakeets can afford to slip up hence a game that will surely serve a mouth-watering contest to those in attendance. Elsewhere, defending champions Dream will take on Yap Stars. Dream have picked up form lately and look to be making a late surge to try and defend their crown. On Match Day 13, they were required to come from behind in order to overcome a spirited Mengo City side and eventually defeat them 3-2 with star-player Jamil Kalisa scoring a hat trick. Ahead of Thursday’s game, Kalisa concedes that his side cannot afford any slip ups if they are to win a second League title on the trot. “We are the defending champions and that means eveyone looks at us and consistently check our performances, said Kalisa. “We did not start well but we have been grinding out results of late which is a good thing for the team. “In the League, there are no easy games and we will come into the encounter knowing that Yap Stars are not an easy team. “Hopefully we can impose ourselves and take all three points from the game. For Yap Stars, they are currently bottom of the standings with only 6 points from their first 10 games. The other day’s games will see 5th placed Nomad take on second from bottom Kabowa United, Elephants will face Bajim, Mengo City does battle with Equator while Typhoon locks horns with Park. Yeak Kabowa’s Shaffic Avemah still tops the scoring charts with 24 goals, 5 ahead of Parks’ Joseph Bukenya.